Surface Renew offers every kind of replacement, resurfacing, repair and maintenance service you can dream of for apartment, commercial and residential properties. We were thrilled to have the opportunity to "repair" their brand and replace it with a shiny new logo and website! "Thank you very much for the gorgeous website. 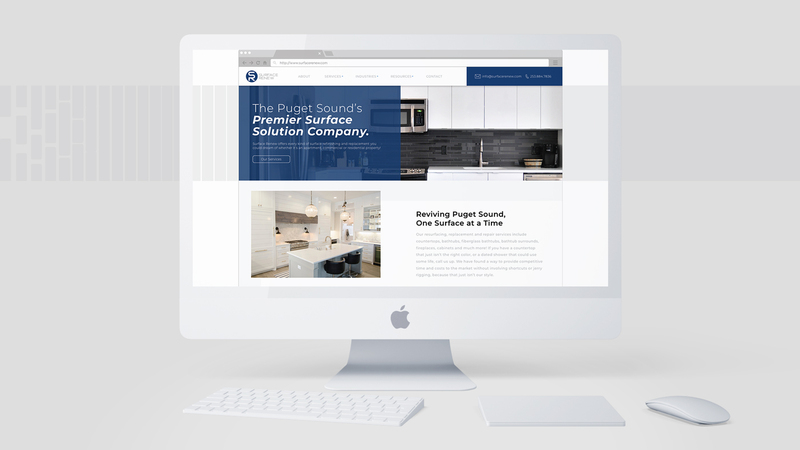 This was a very transitional time for Surface Renew and I appreciated the patience as we built out our services on our end. We are very excited to keep improving and customizing the website as we move forward with more of our work. You have a great and talented team and did an amazing job of directing us along the way. We love the logo, the look, messaging, and feel of the website!"